KitKat is the name of the next version of the Android operating system. Seriously. 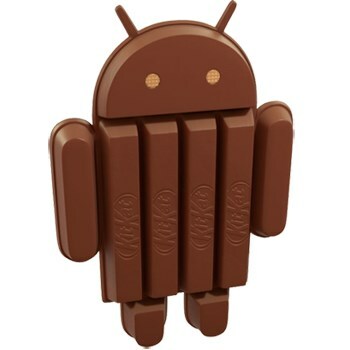 In a twist on naming Android releases after sweets and desserts - Gingerbread, Ice Cream Sandwich, Jelly Bean and so forth - Google announced today that the next version of its operating system will be named after a specific brand of chocolate bar: the famous KitKat. Until now it was expected that the next version of Android would be named Key Lime Pie, but John Lagerling, Google's director of Android global partnerships, said the decision to change the name to KitKat was actually made late last year. "We realized that very few people actually know the taste of a key lime pie," he said. "One of the snacks that we keep in our kitchen for late-night coding are KitKats. And someone said: 'Hey, why don't we call the release KitKat?' We didn't even know which company controlled the name, and we thought that [the choice] would be difficult. But then we thought, well why not, and we decided to reach out to the Nestle folks." Nestle was actually very amenable to the idea and decided within an hour of Google's initial outreach to sign on, even though Nestle Marketing Chief Patrice Bula acknowledged that the move isn't without risks, especially if the new OS turns out to be buggy or prone to crashing. "When you try to lead a new way of communicating and profiling a brand you always have a higher risk than doing something much more traditional," he said. "You can go round the swimming pool ten times wondering if the water is cold or hot, or you say: 'Let's jump.'" Perhaps the most impressive part of the deal is that both companies were able to keep it a secret for the better part of a year. Only a "tight team" knew about the change and Lagerling said the company continued to refer to it as Key Lime Pie, even internally. "If we had said, 'The K release is, by the way, secret', then people would have racked their minds trying to work out what it was going to be," he added. The arrangement "is not a money-changing-hands kind of deal," according to Lagerling, but Nestle plans to sell more than 50 million KitKats emblazoned with the Android mascot and is offering buyers a Willy Wonka-like chance to randomly win Nexus 7 devices or Google Play credits. Google, meanwhile, erected a giant statue of its Android mascot made out of KitKats - presumably not real ones - at its headquarters.